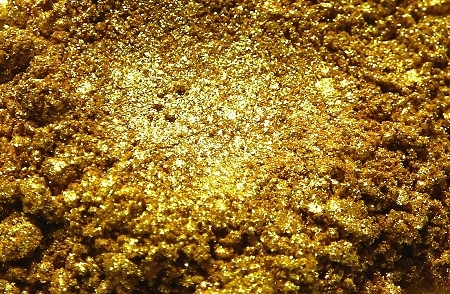 Our brightest, most striking gold. Reflective shimmer creates an almost liquid-sparkle appearance. Outshines all our other golds, and makes a great liner, a bold lid color, or used as an effect highlight over lip gloss.